Princess Pictures producer Paul Walton on helping online content creators such as Superwog develop their voice and why it’s imperative the industry continues to invest in this space. For a year and a half Princess Pictures producer Paul Walton has been working with YouTube creators, but he never really felt the combination of adrenaline and fear that comes with pressing ‘upload’… until now. On 16 July 2017 the Princess Pictures-produced Superwog TV pilot, which was supported by Screen Australia and Google through Skip Ahead, was uploaded to YouTube. “I said, ‘if it’s got 150,000 by morning, I’ll be really happy’. And then in the first hour it was 75,000 and it just kept climbing,” Walton says. In 24 hours, it had hit 500,000. And within four days the views had hit one million. And now that the video is online, the marketing can really begin. “Everything I’ve read and successful campaigns I’ve studied all said wait until it goes live. We reached out to their fanbase [earlier]. But now it’s hopefully extending that reach to an audience beyond that." He says when you scroll through the thousands upon thousands of comments on the TV pilot, so many are from fans that are ecstatic about getting something longer from Superwog whose videos generally range from three to four minutes long. The next challenge is what to do next. Walton has long been a fan of Superwog, AKA Theo and Nathan Saidden, who first began uploading videos some eight years ago, and more consistently from around five years ago. 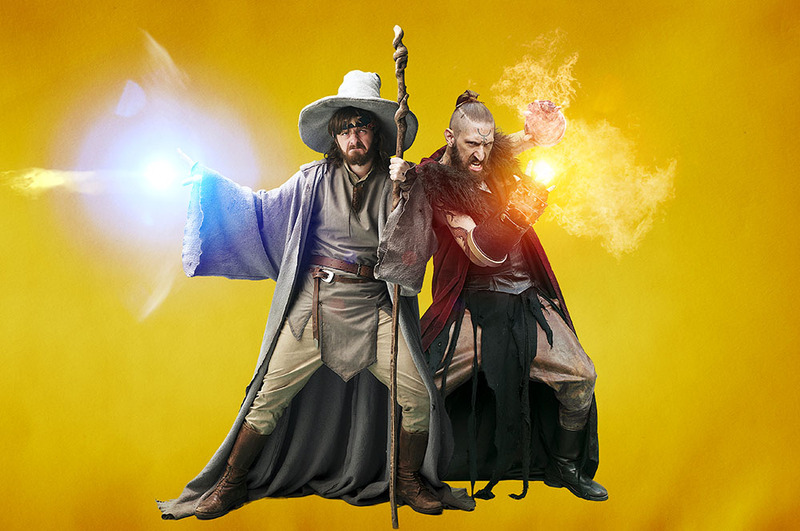 The brothers, who write/direct/act and edit the Superwog videos, had by July 2017 pulled in more than 745,000 subscribers and nearly 141 million views. Their brand of edgy humour they say is drawn a lot from their own life and people they know (they are the sons of a Greek-Egyptian mother and Egyptian father). “I really wanted to work with these boys because I knew they were talented, they were natural at comedy and could write,” he says. “[But] the professional industry to some extent, they look down their nose a bit at YouTubers… So the process we went through was, ‘OK people aren’t going to necessarily believe you go from something short to something long, so let’s craft out a brilliant script’…"
“Then I said, ‘OK people are just thinking you’re making home movies, so the next thing we do is make sure the quality is what you see on television’. So we worked on that. “And then people are going to say, ‘oh no one will watch long form’. So we need to generate the numbers you would get for your short form, which we’ve fortunately been able to do overnight." Even though there are still some who don't see online as a credible space, Walton can sense a shift happening in the industry. “At the moment it’s changing because people want to take risks, but they want to take risks with certainty – and so when creators can come with numbers and data to back up who they are with a fanbase, then the mainstream has to change its attitude,” he says. For Princess Pictures, who have worked with people such as Chris Lilley and John Safran, working with online content creators was a natural extension. The core business continues bubbling along, with scripted comedy, drama and unscripted, but working in the online space they're able to identify talent, develop their skill set and help escalate their careers. There's a perception that online content is cheaper to make - and certainly when it comes to the shoot Walton says YouTubers are far more economical - but the overall costs aren't less because the development stage is far longer. “Where we see the cost is not necessarily in the production cost, it’s the time spent crafting the scripts and working at the concept,” he says. With Superwog, it took eight months to write and hone the script for the pilot. “If you think about the resources that go into that, it does cost a lot. [But] the actual shoot was quite nimble. We shot over five or six days with a very small crew and it enabled us to move quickly and be reflective of how they make the content for their show,” he says. 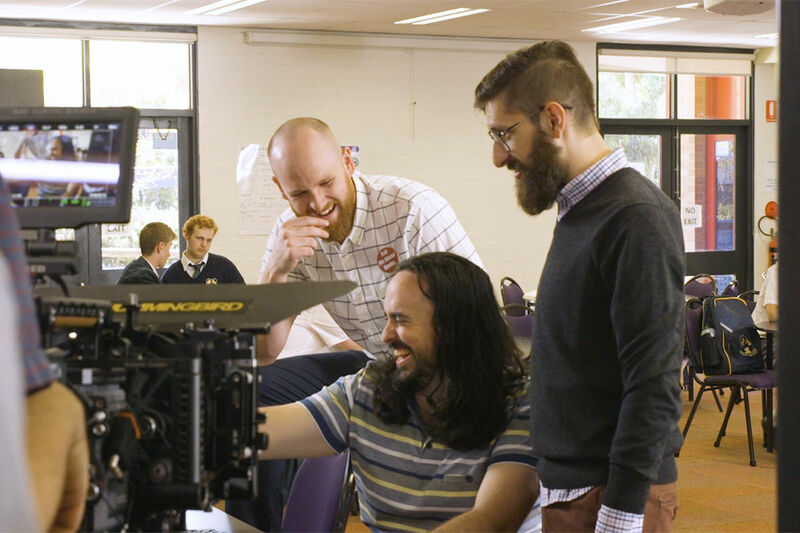 The industry is seeing a wave of these talented voices coming through to television from online: teams from The Katering Show, Soul Mates and Starting From Now, Skit Box, The Other Guy director Kacie Anning (who made web series Fragments of Friday) and Aunty Donna (who just developed a pilot for Stan). But Walton says people need to remember this is the result of years of work. “Especially with what Screen Australia’s done with multiplatform, we’re now getting to the point where the talent they were identifying four or five years ago are starting to graduate and be market-ready to go to a longer form." So he says it's important to keep working with the Superwogs, Skit Boxes and other experienced content creators of the world, but to also be identifying and nurturing the emerging YouTubers. Then in several years they too will have the skillset to transition to television and film. “It's an ongoing process. It has to be. You can’t just make a grab for numbers. And if you do, it’s a race to the bottom, the industry is in strife." “But if we actually want to invest time and give some of our knowledge back, but equally learn from them, then I think the industry will grow." “They are the future guardians of the industry, so we’ve got to treat them with that respect." It not only means you stay relevant to audiences, but it gives emerging content creators something to reach for. “Some creators are doing it as a very expensive hobby, but if there’s a little gleam of light at the end of the tunnel that they could make a career out of this then they’re going to keep going, but if someone rolls a big boulder over the end of the tunnel, then they’re just going to stop and not be able to foster a career." 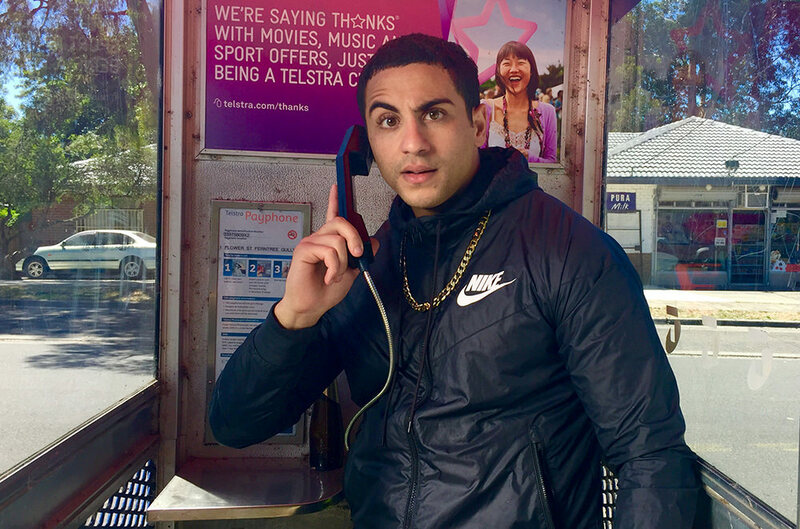 Superwog’s Theo Saidden on co-writing/directing/producing and co-starring in the duo’s TV pilot and why they will always try to make YouTube videos, no matter what.